D.D. Williamson, the world leader in caramel color, announces the introduction of Caramel Color 570 to food and beverage companies in China. Sept. 1, 2010 - PRLog -- The new product for China is the most widely-used Class One caramel color in D.D. Williamson’s global portfolio. Asia’s largest manufacturer of caramel has transferred the technology for manufacturing Caramel Color 570 from its U.K. and U.S. plants to its Shanghai operation. The World Health Organization and other global food authorities list four classes of caramel color. 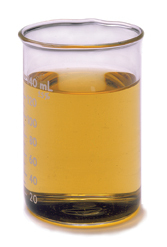 Caramel Color 570, a Class One, contains no ammonium or sulfur compounds as raw materials. Food and beverage companies in China using the 570 product may list “Colour Plain Caramel” on the ingredient label for exports to the European Union. Caramel Color 570, stable in 70% alcohol by volume, has the highest hue -- red to yellow tones -- of the dozen types of caramel colors manufactured by D.D. Williamson (Shanghai) Ltd. It is not suited for applications that require stability in salt or acid. Applications for Caramel Color 570 include alcoholic beverages (spirits), flavors, cooked meat/poultry, breakfast cereals, bakery/dessert toppings, and other food applications. Color with Confidence – D.D. Williamson's wide array of natural coloring, along with its sought after caramel color, helps sell 1.5 billion servings of foods and beverages every day. D.D. Williamson improves the allure of foods and beverages through visual appeal. A trusted and recognized provider of color solutions for the food and beverage industry, the company operates nine manufacturing sites on five continents. Visit www.ddwilliamson.com for more information.